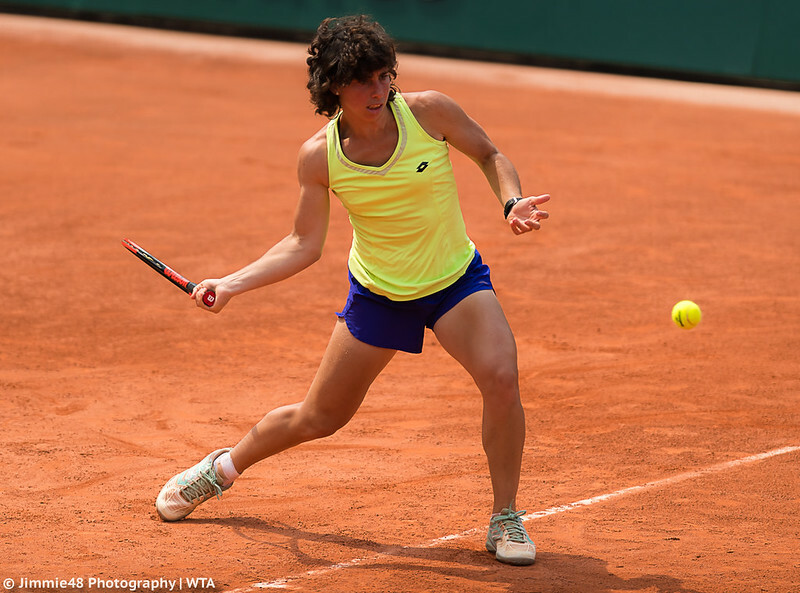 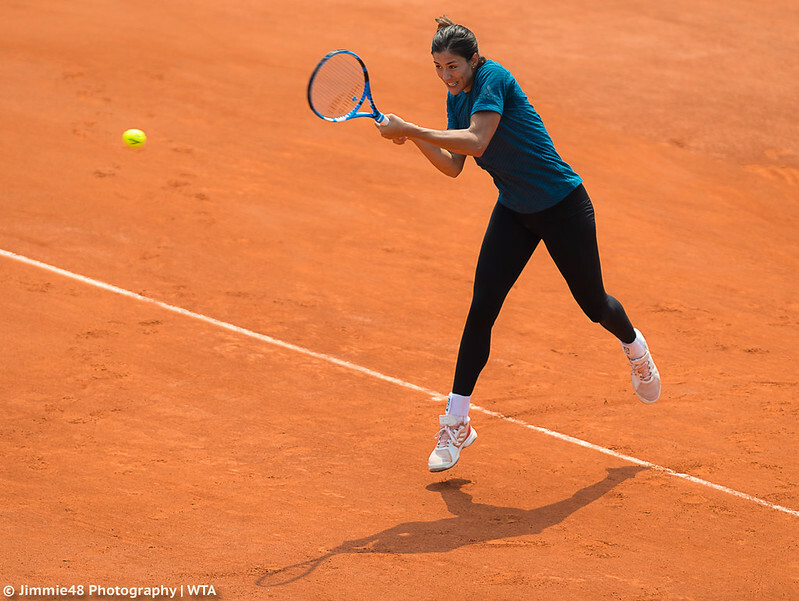 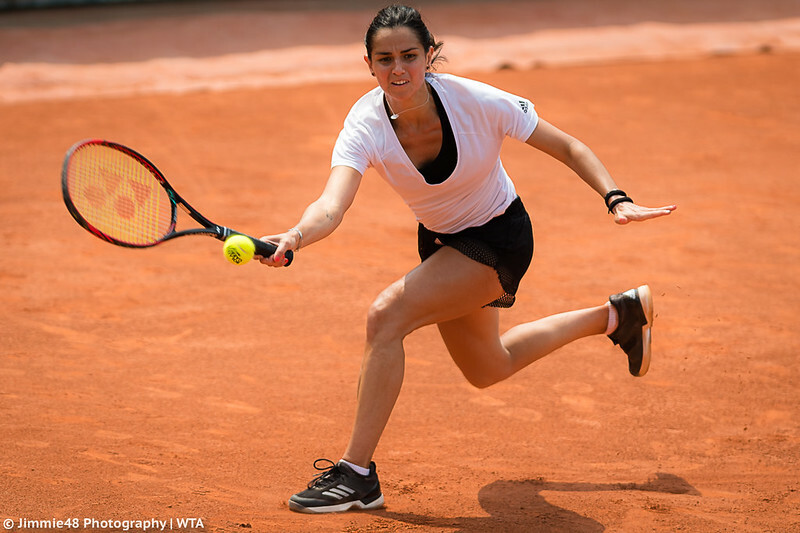 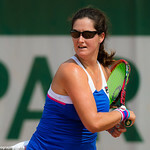 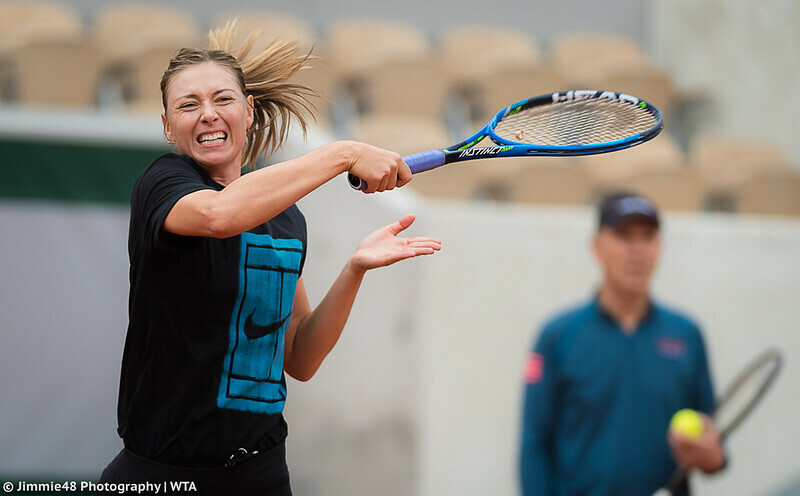 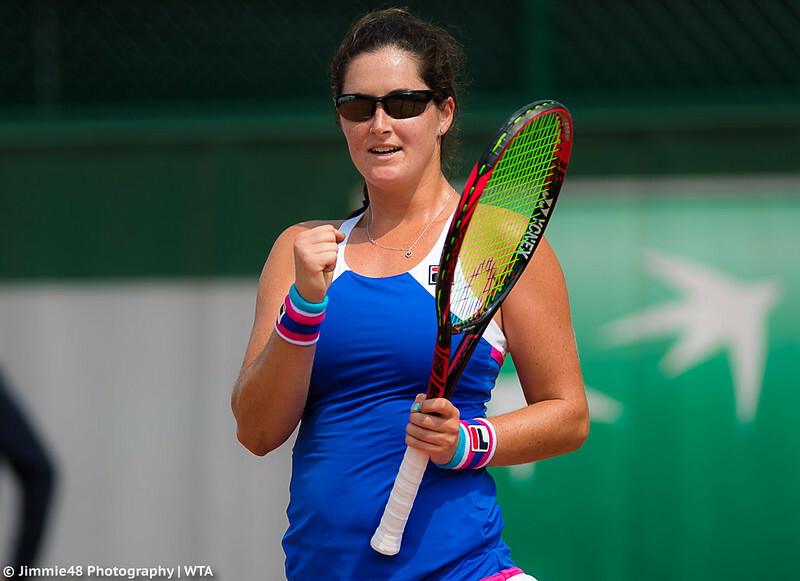 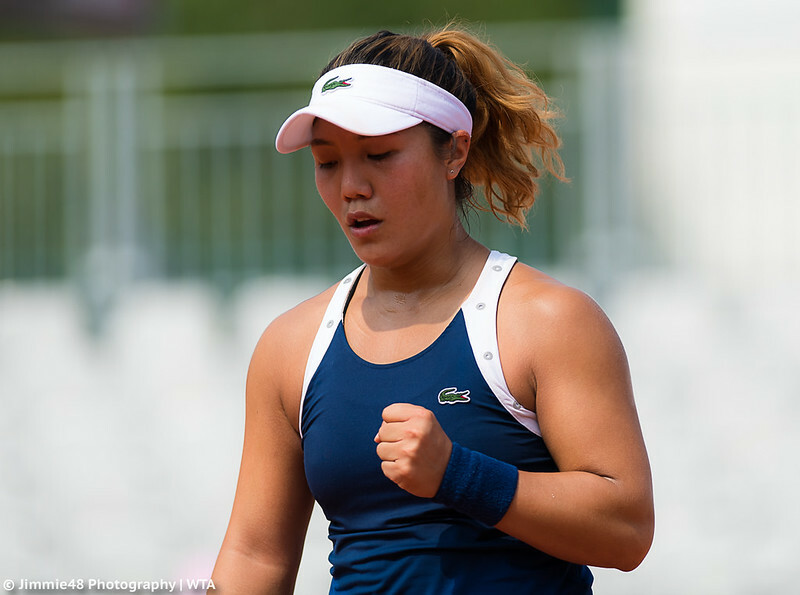 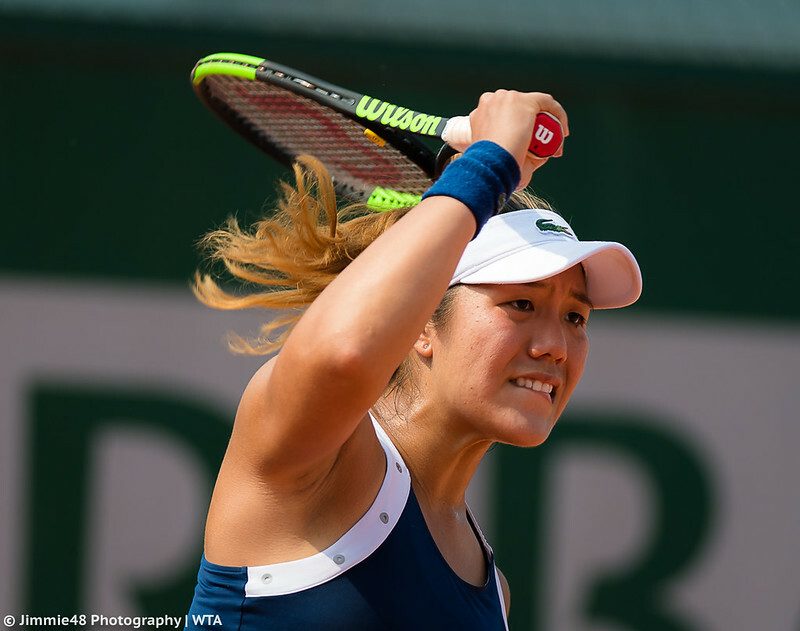 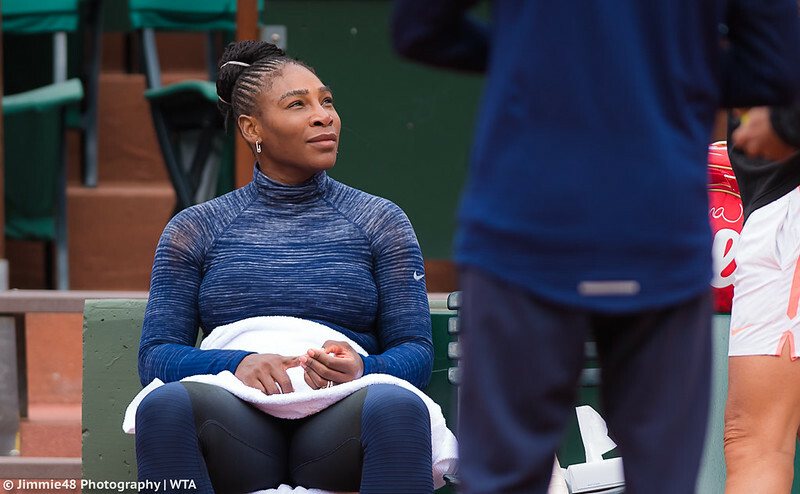 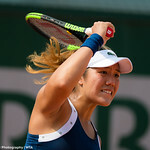 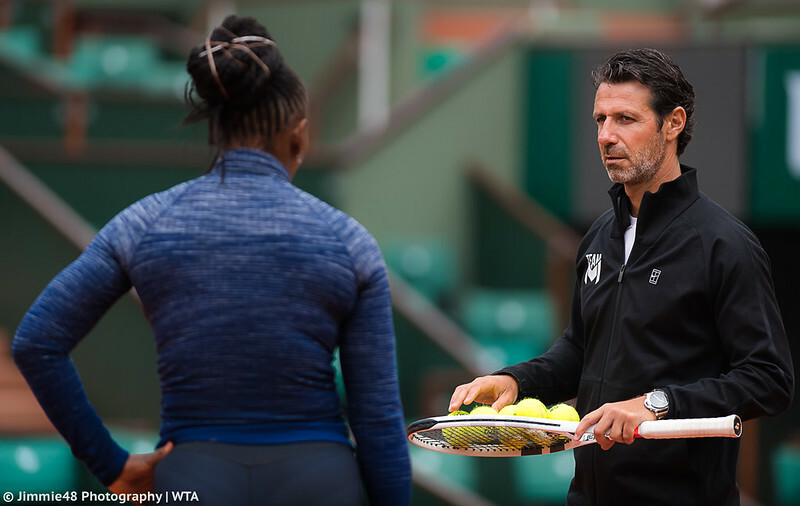 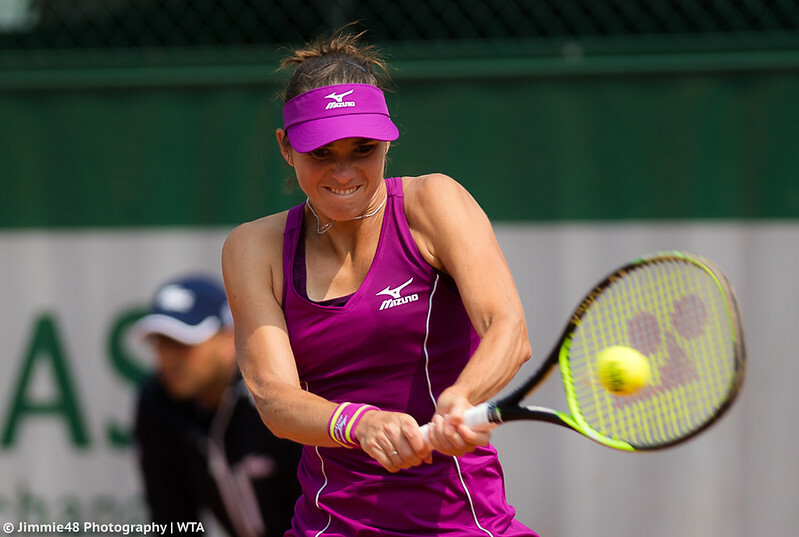 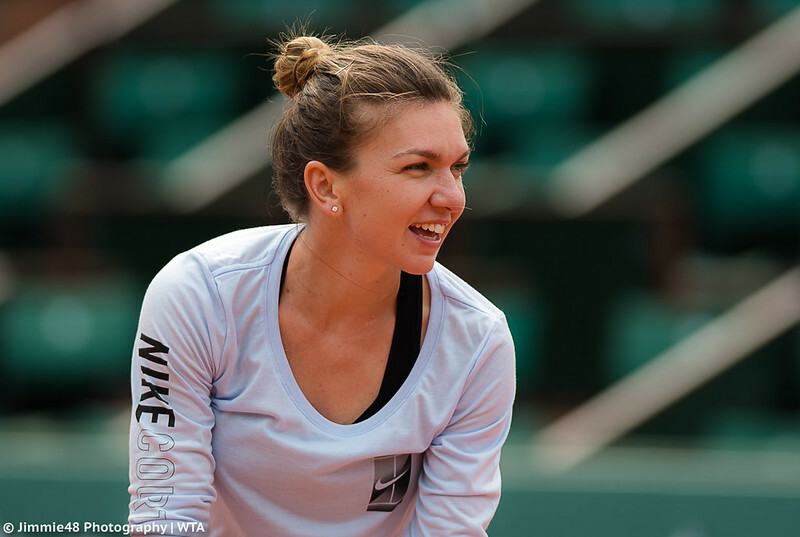 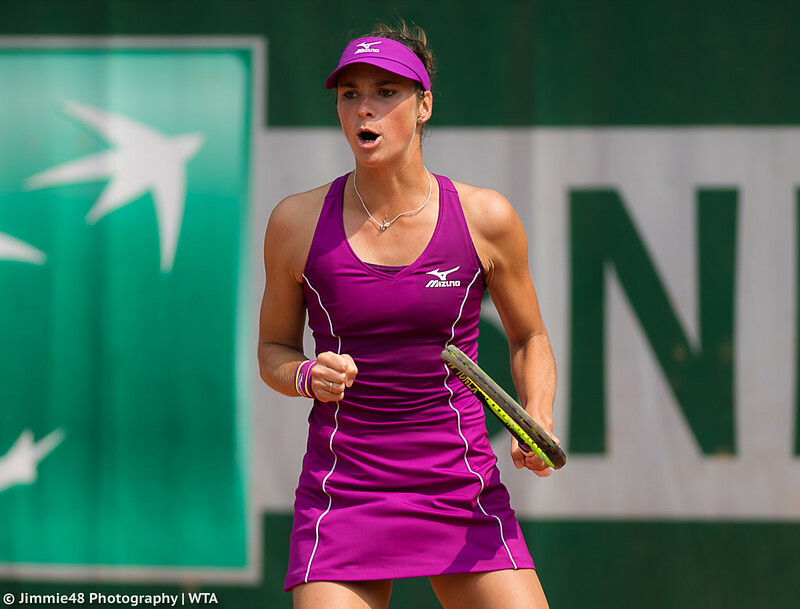 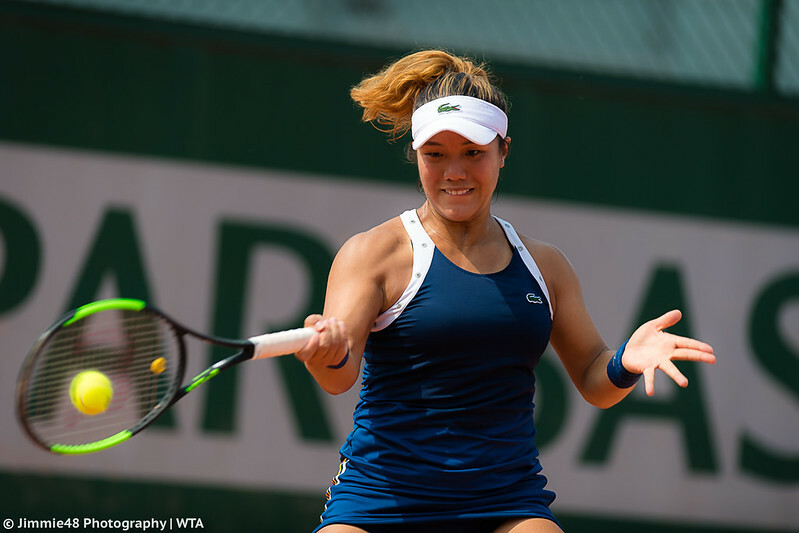 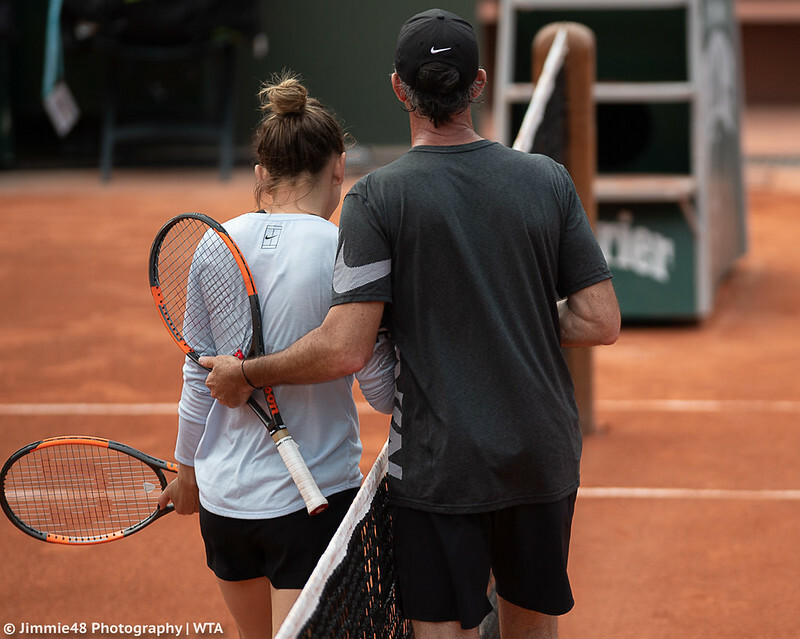 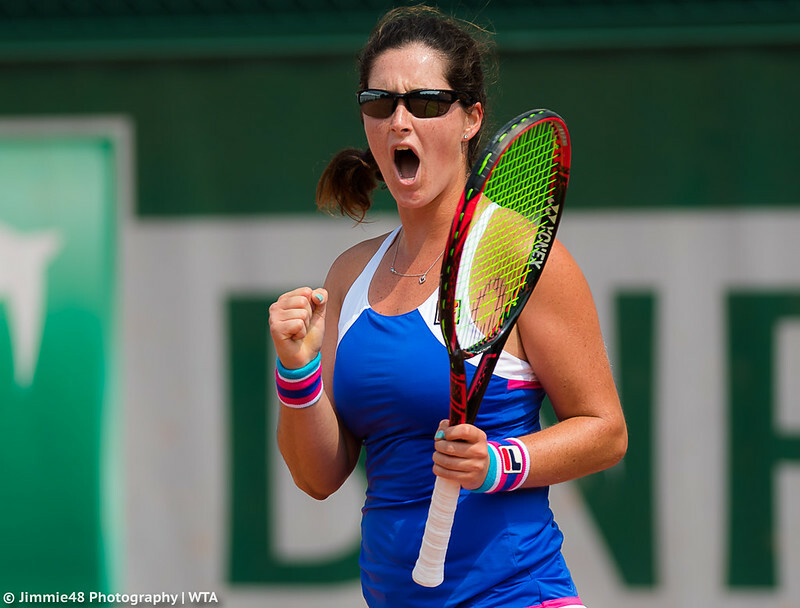 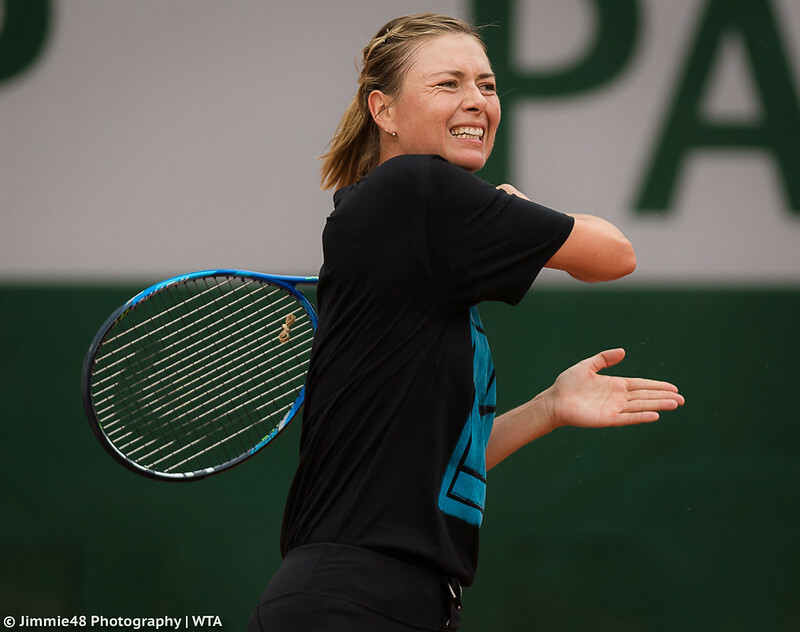 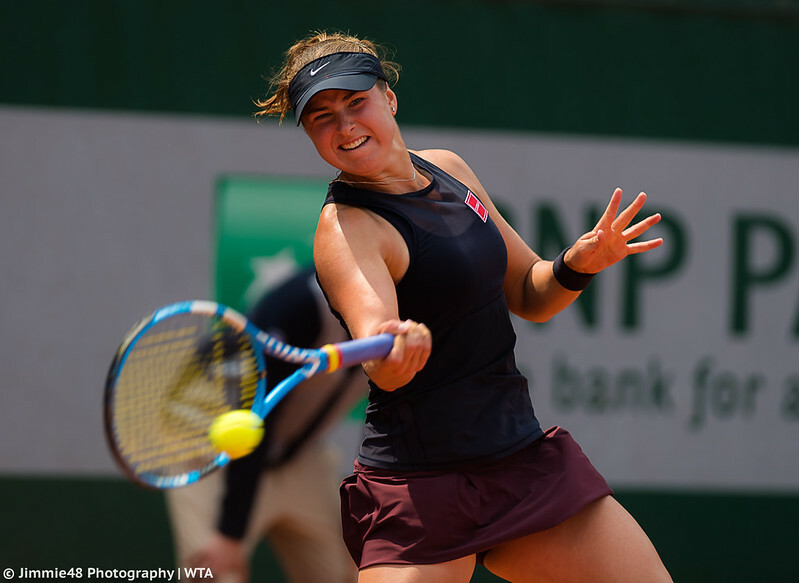 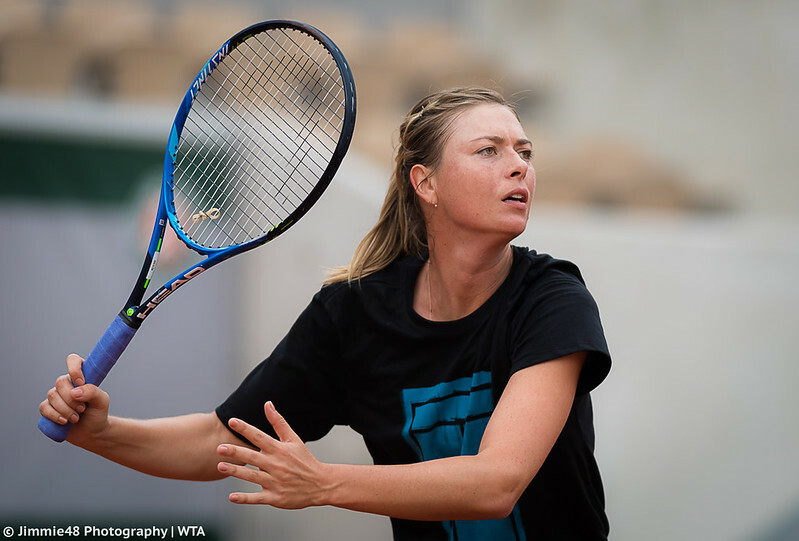 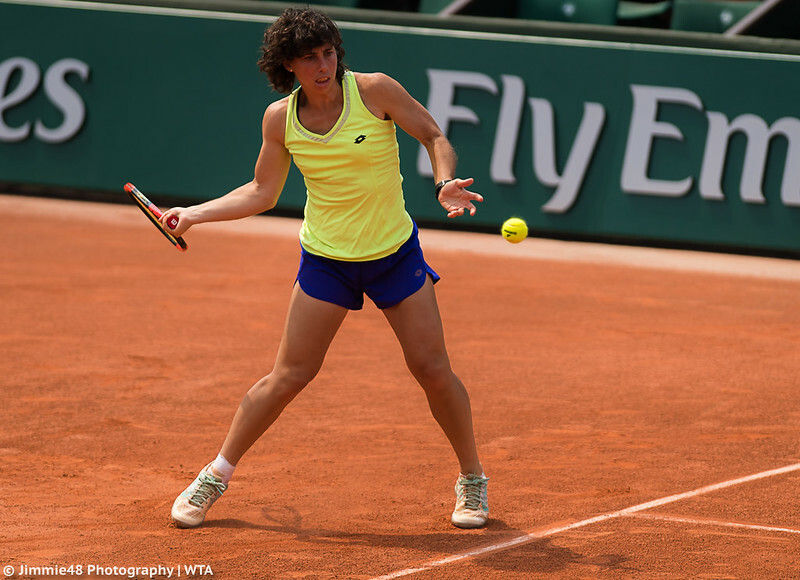 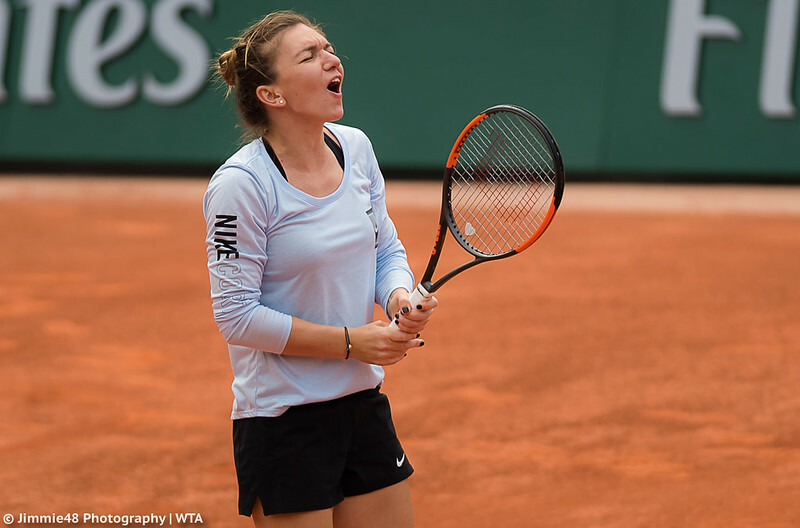 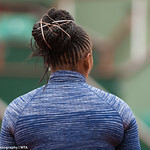 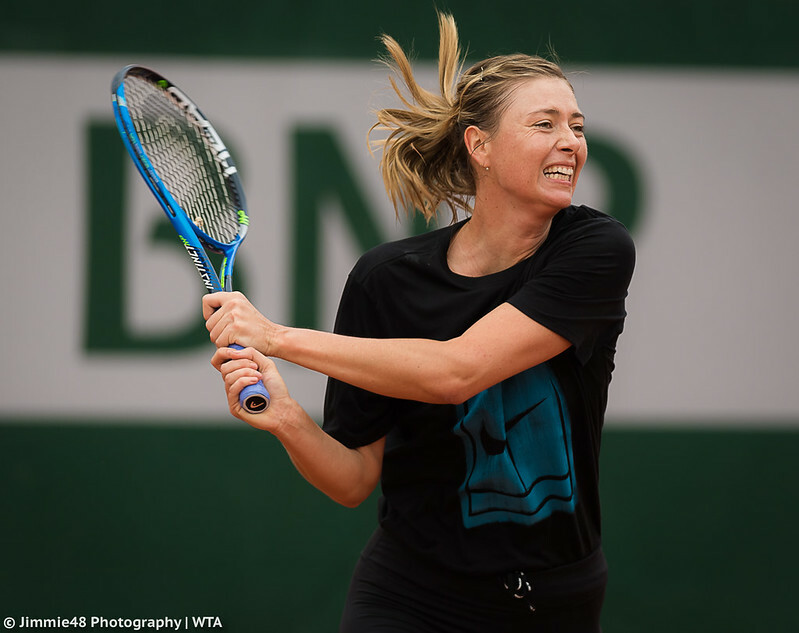 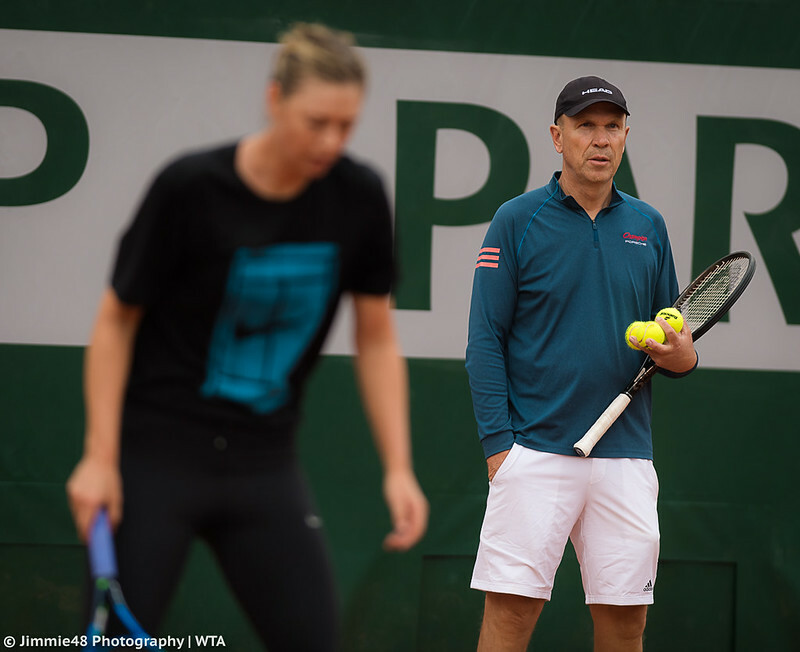 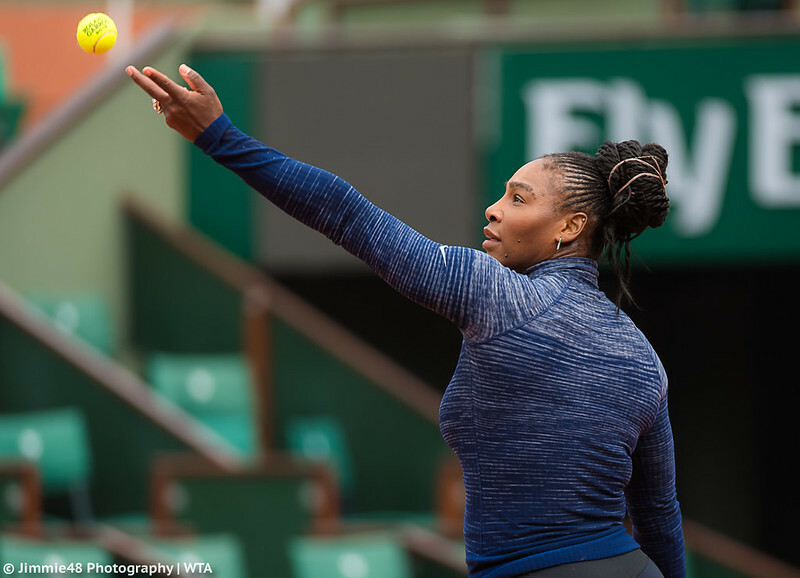 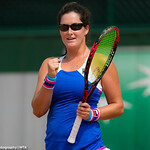 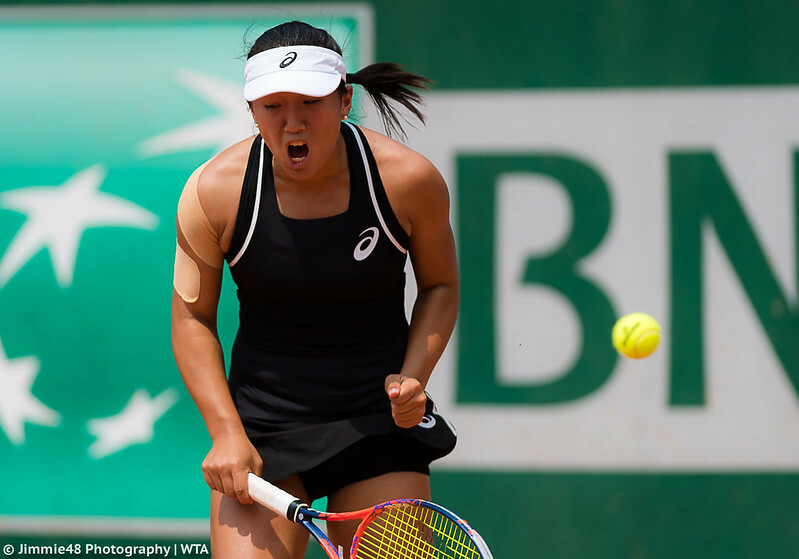 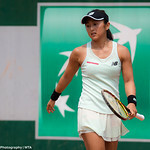 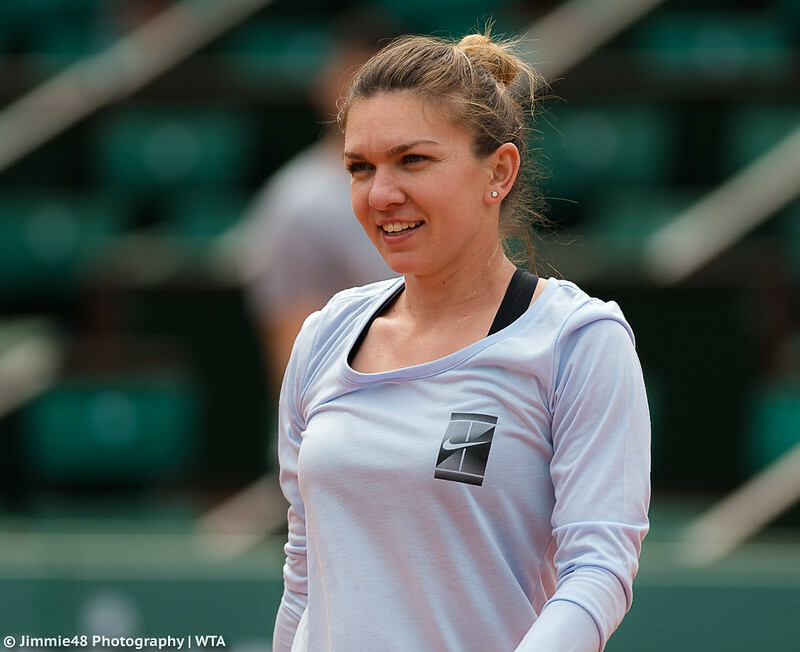 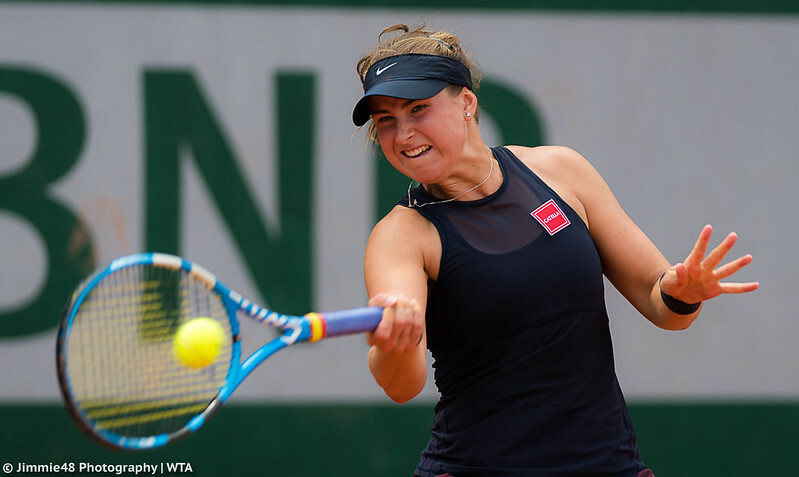 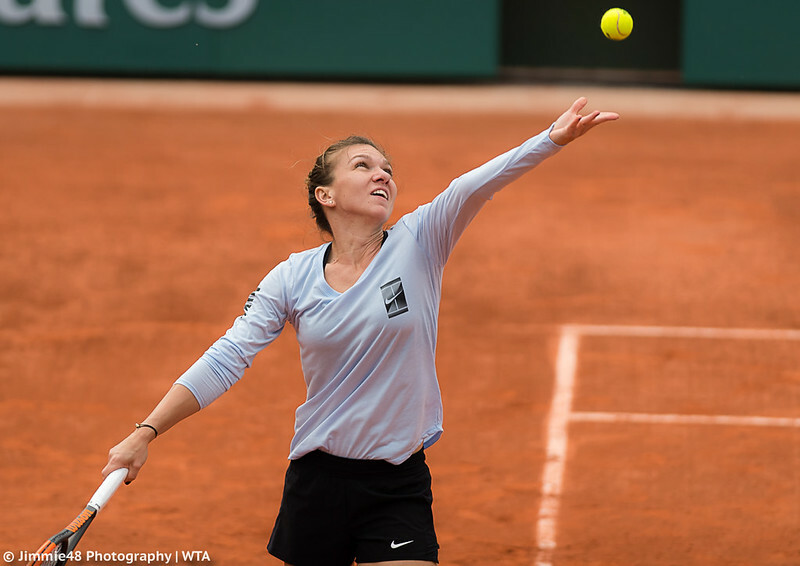 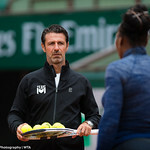 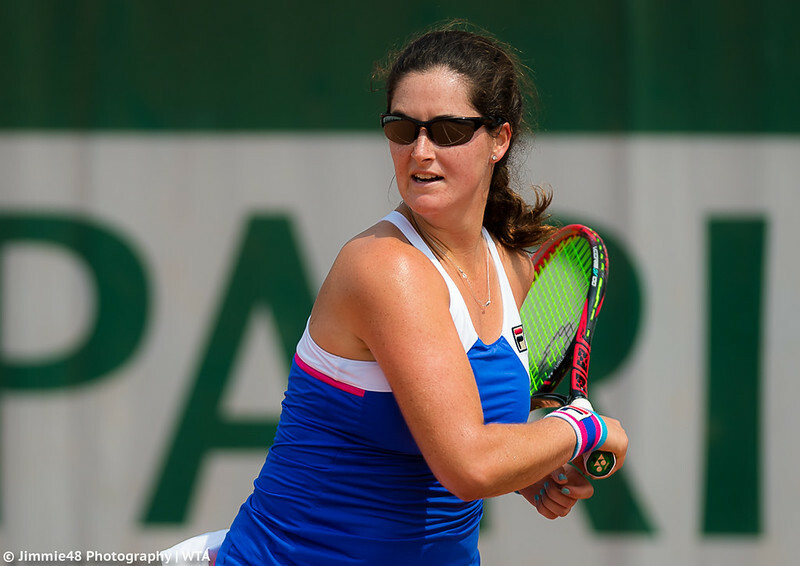 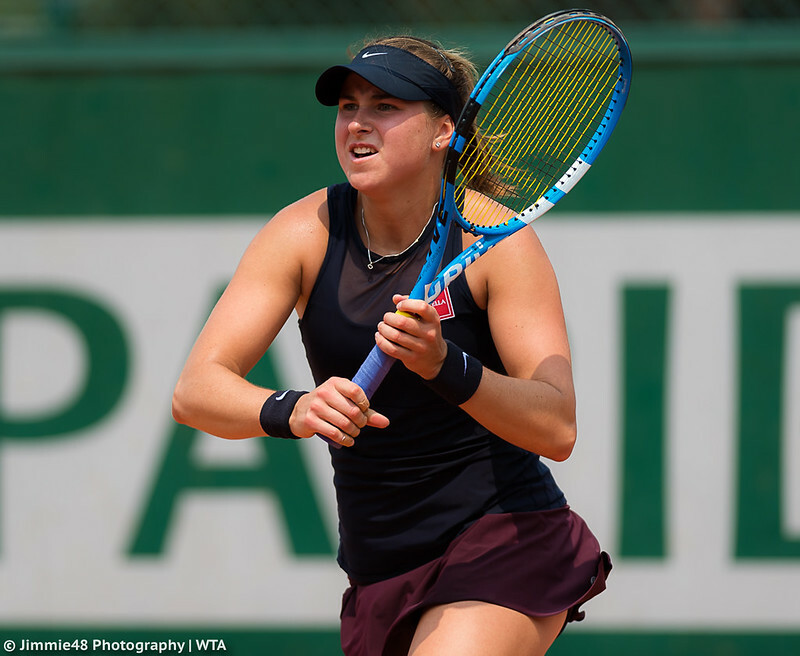 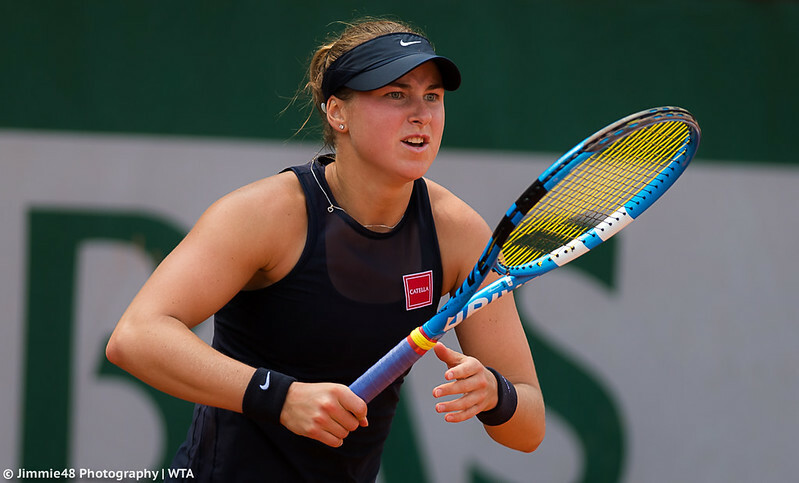 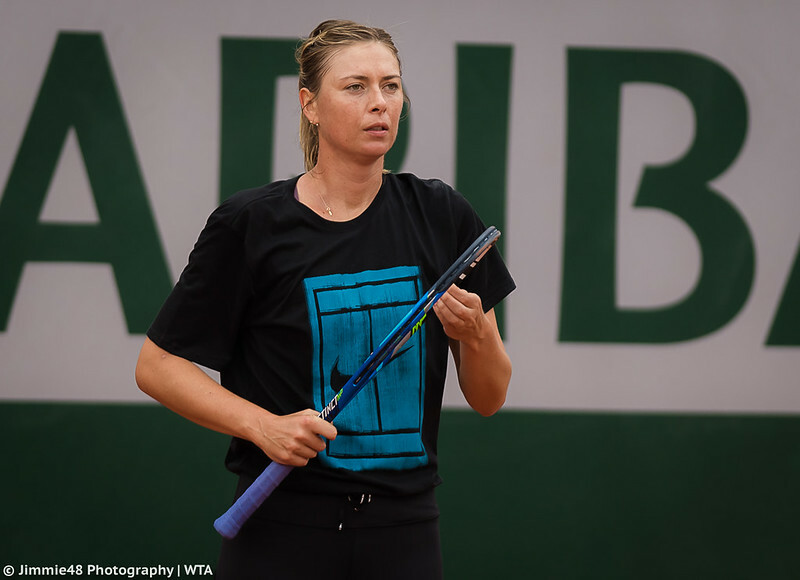 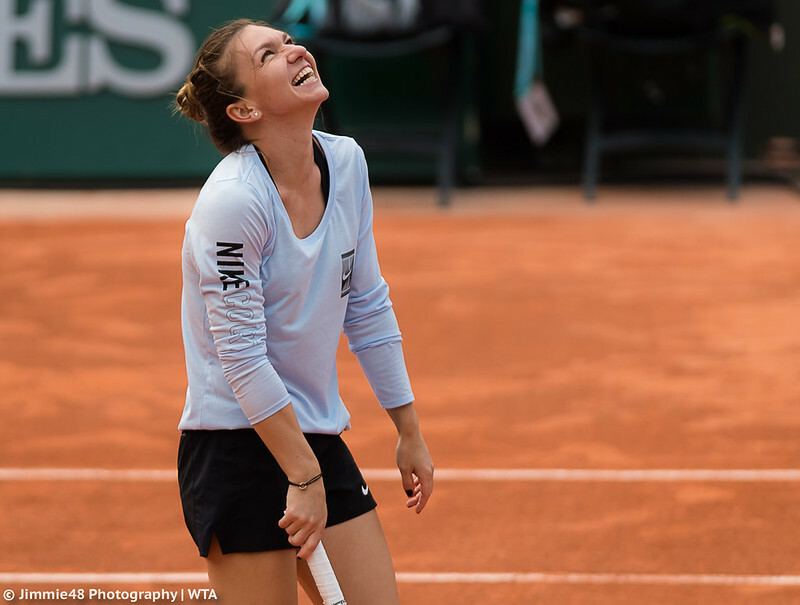 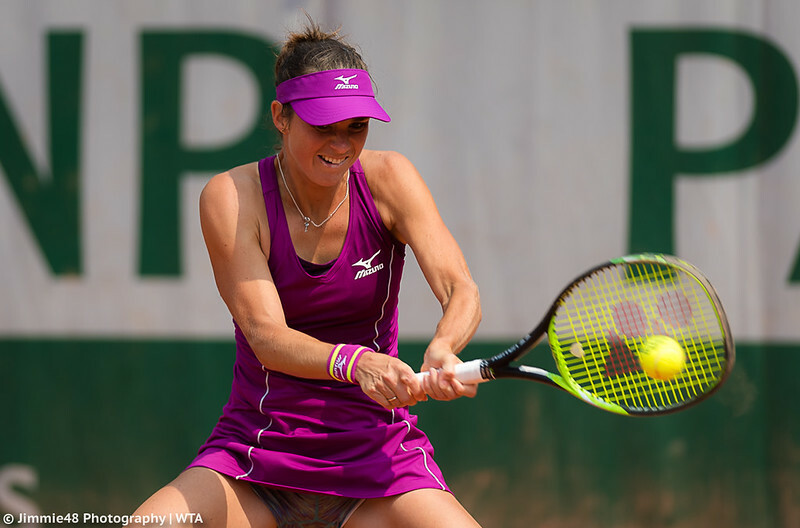 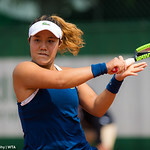 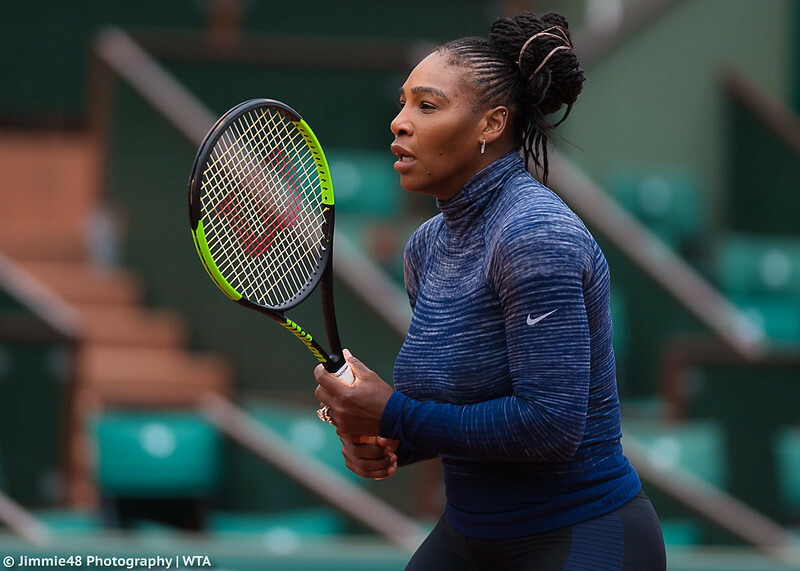 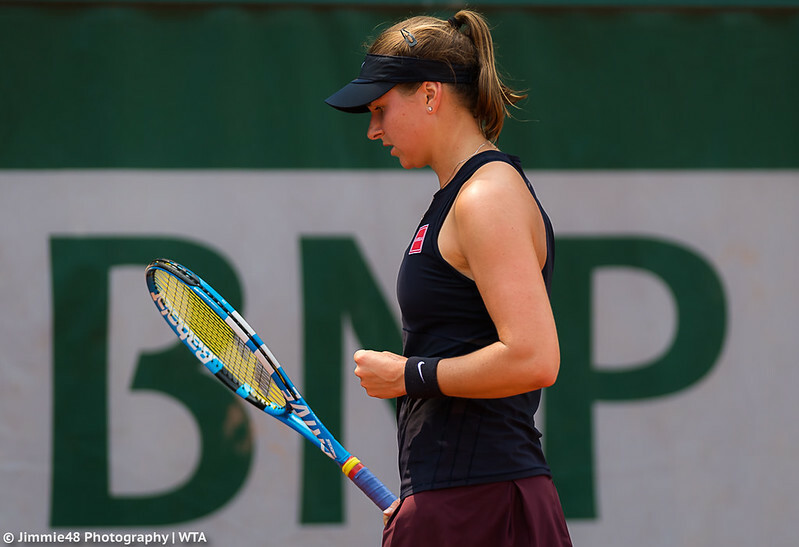 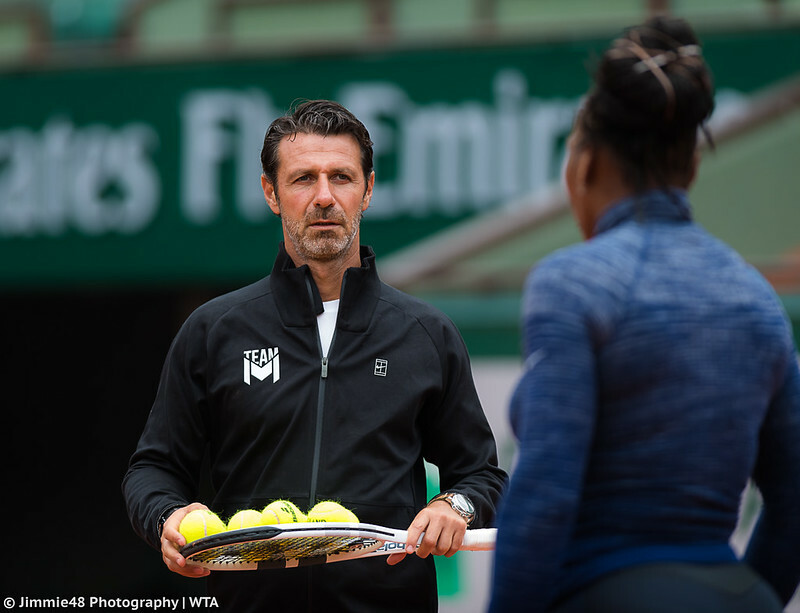 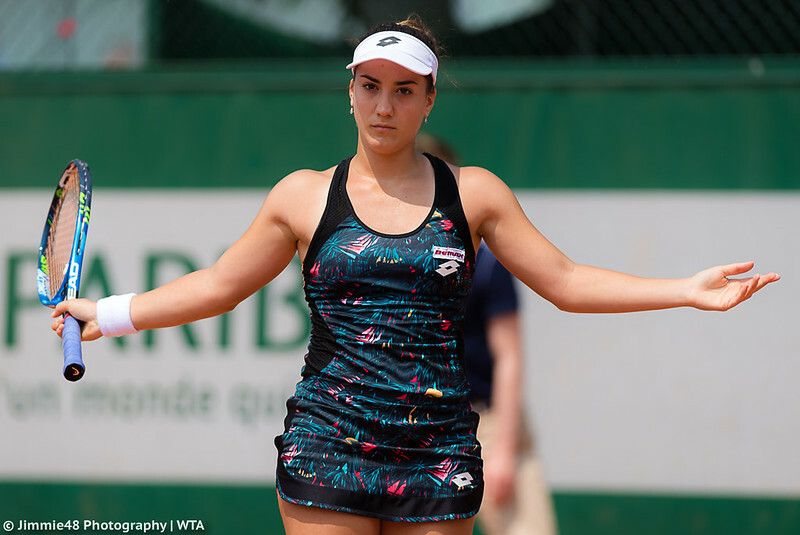 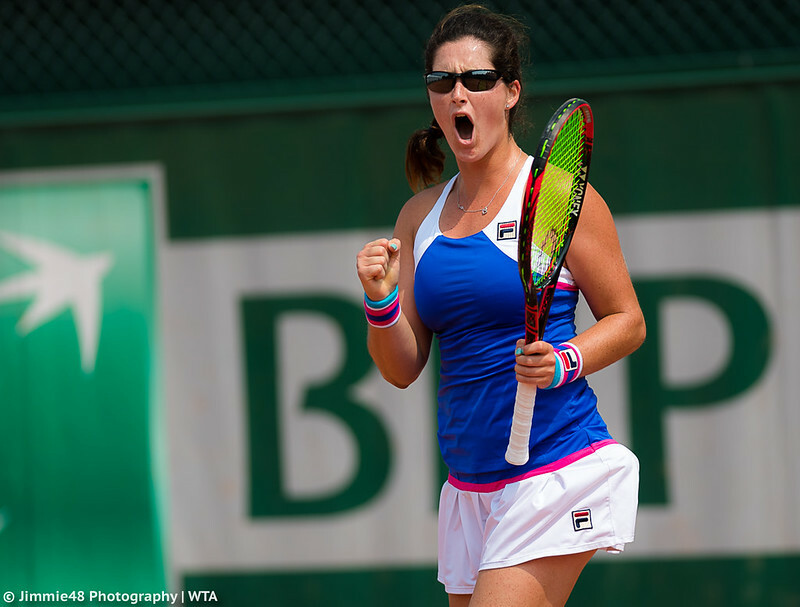 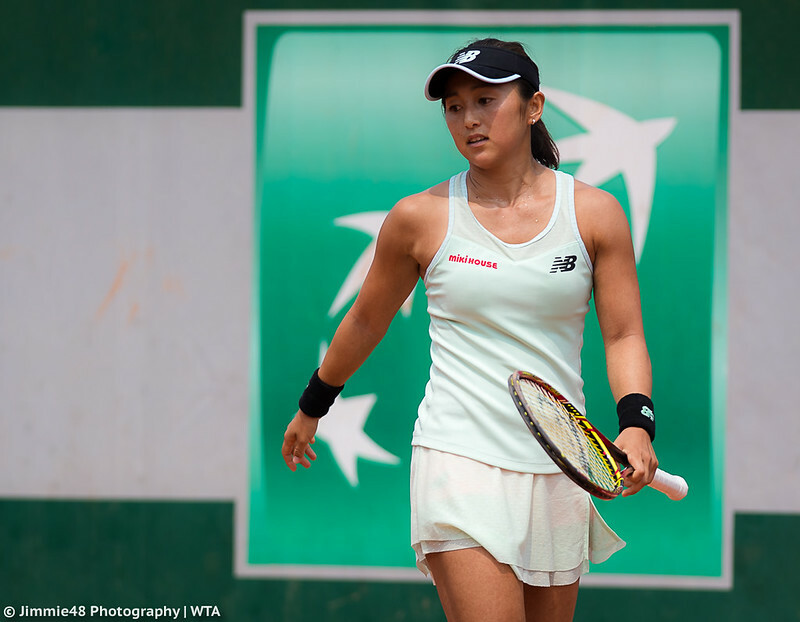 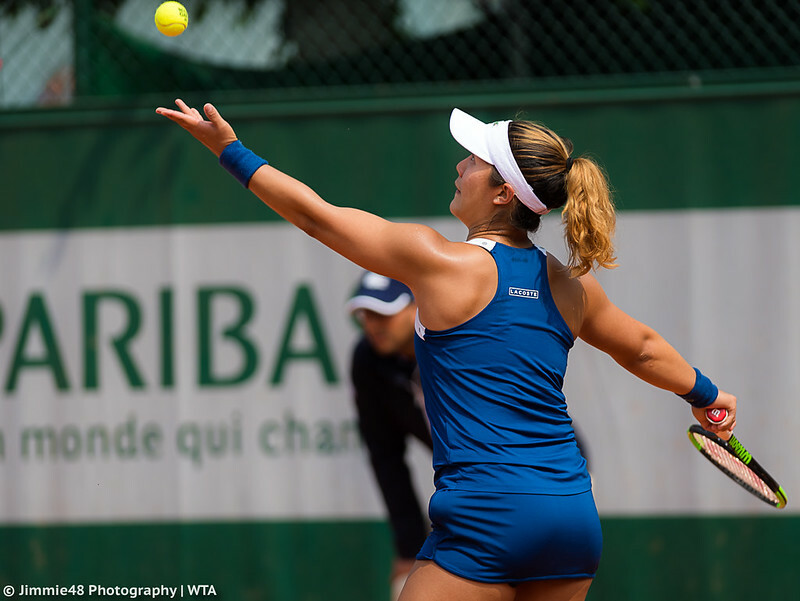 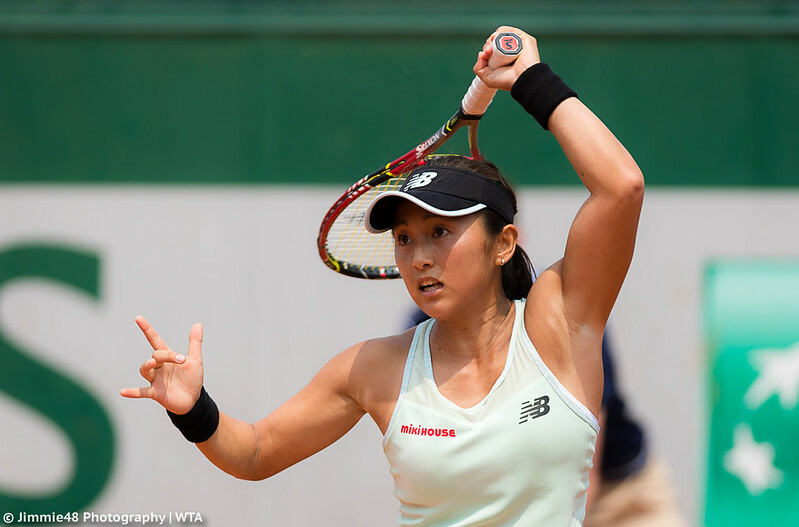 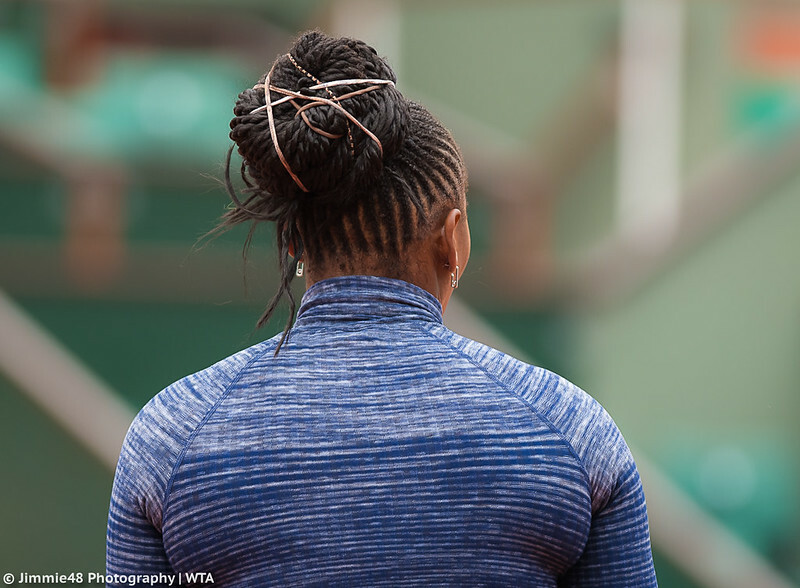 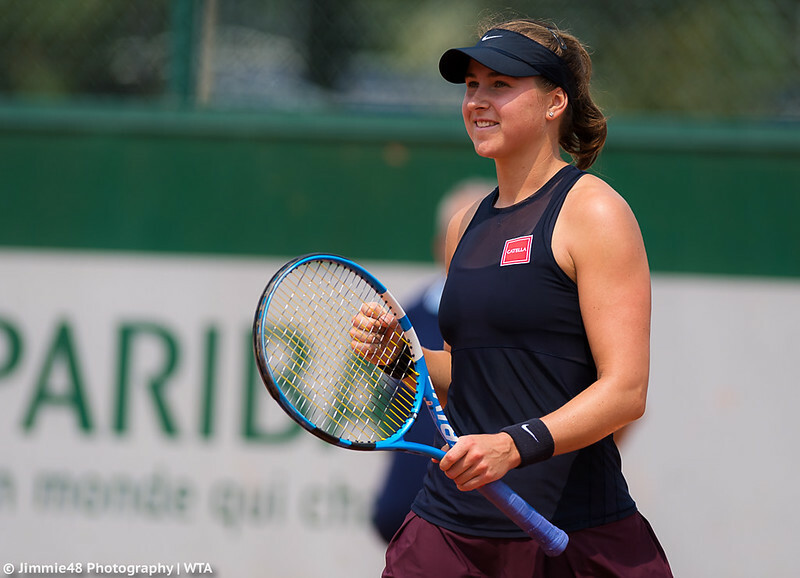 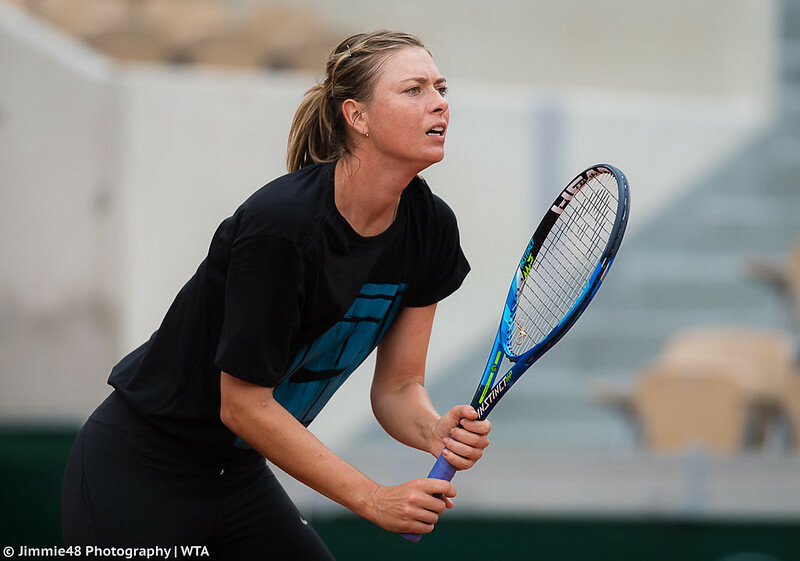 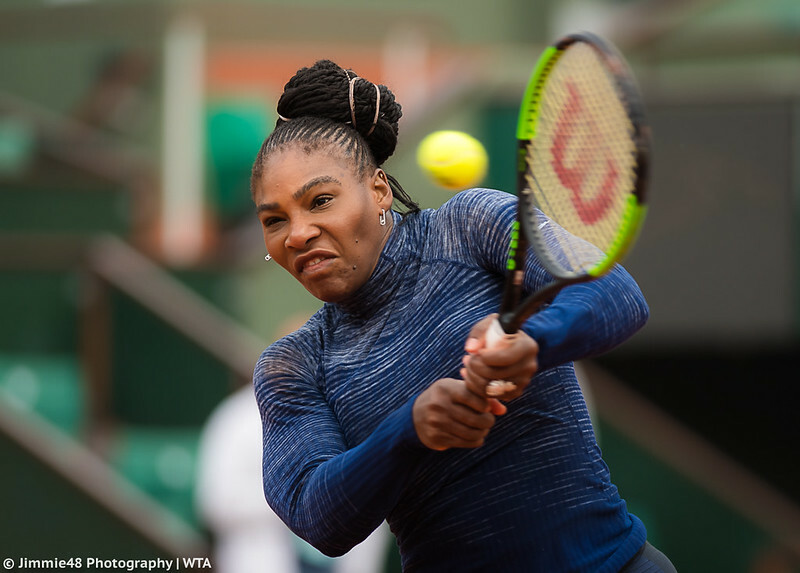 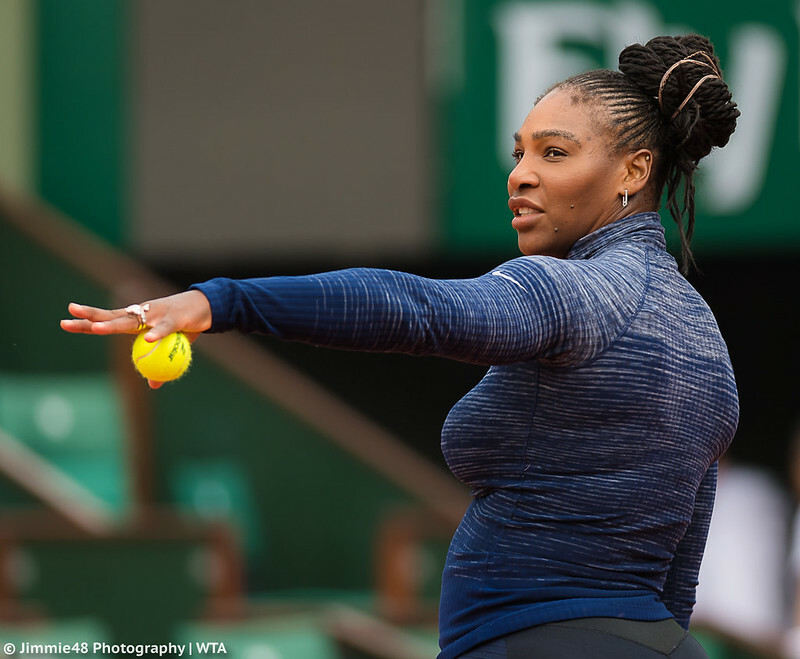 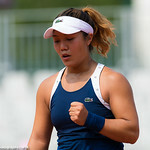 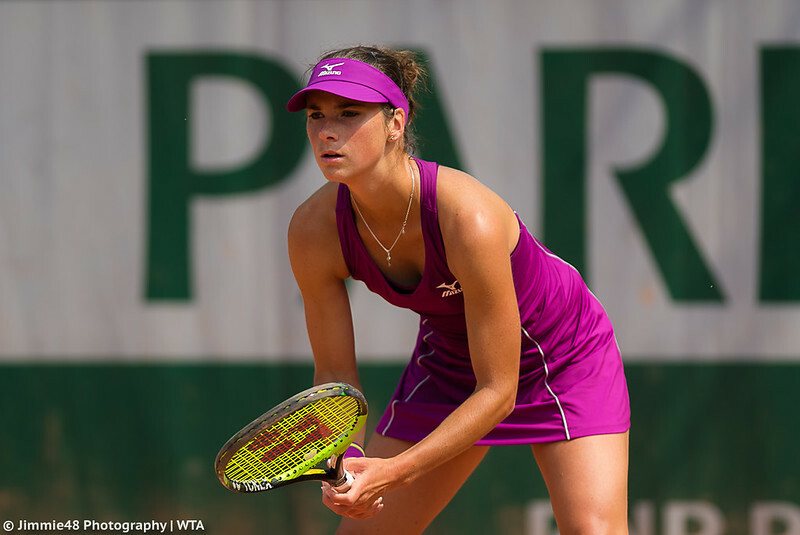 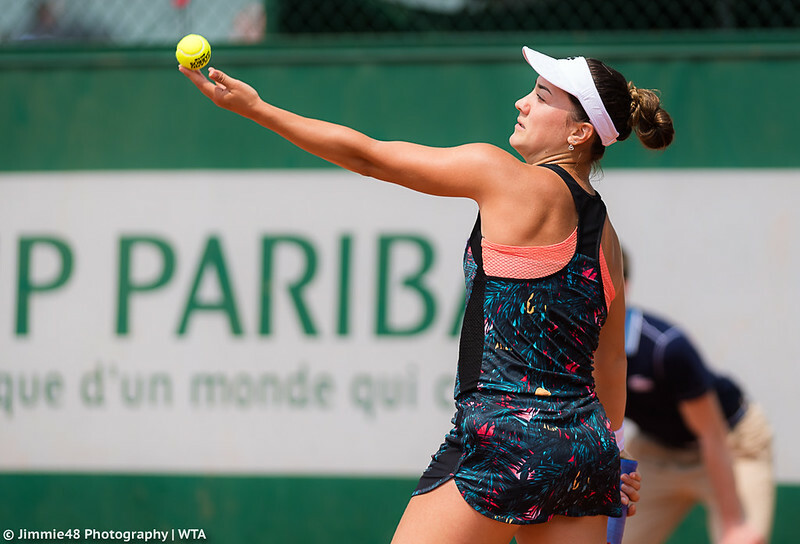 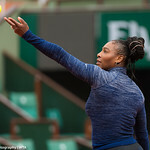 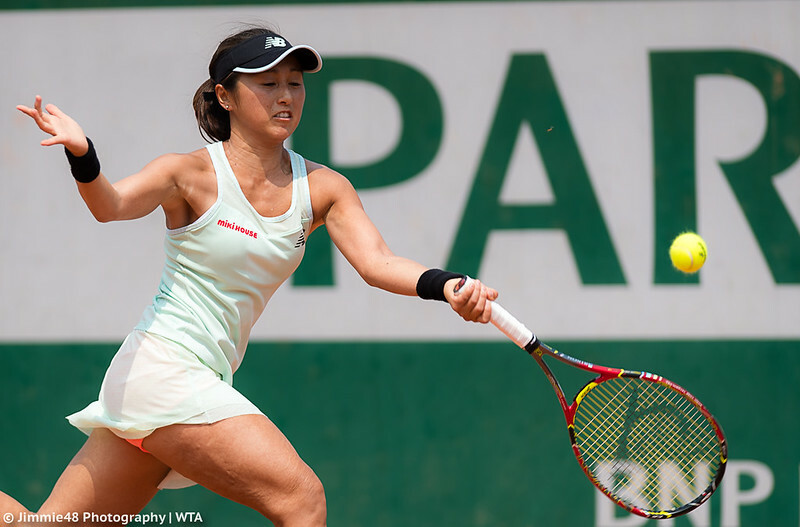 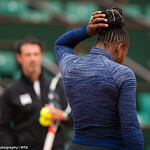 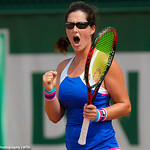 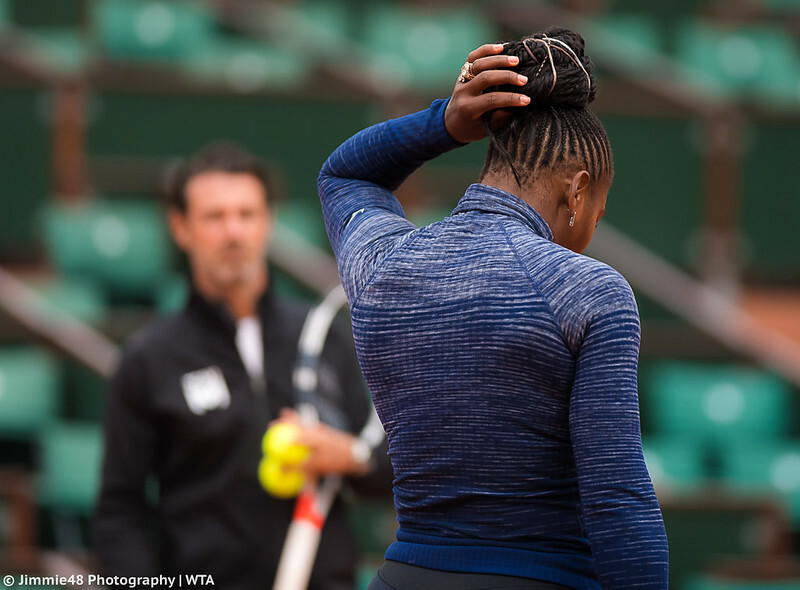 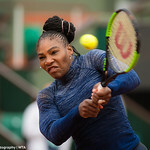 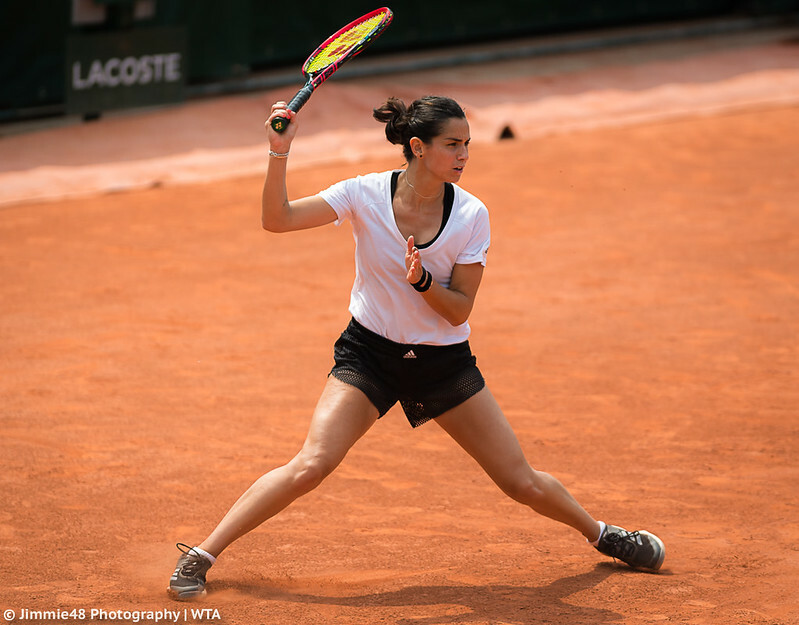 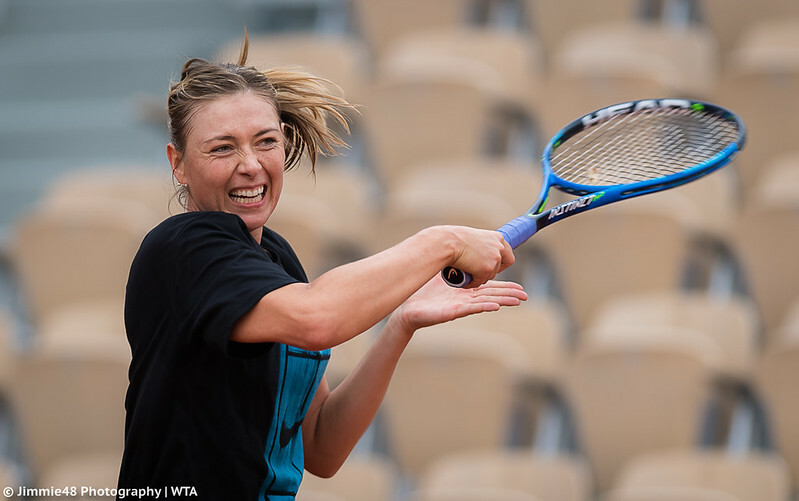 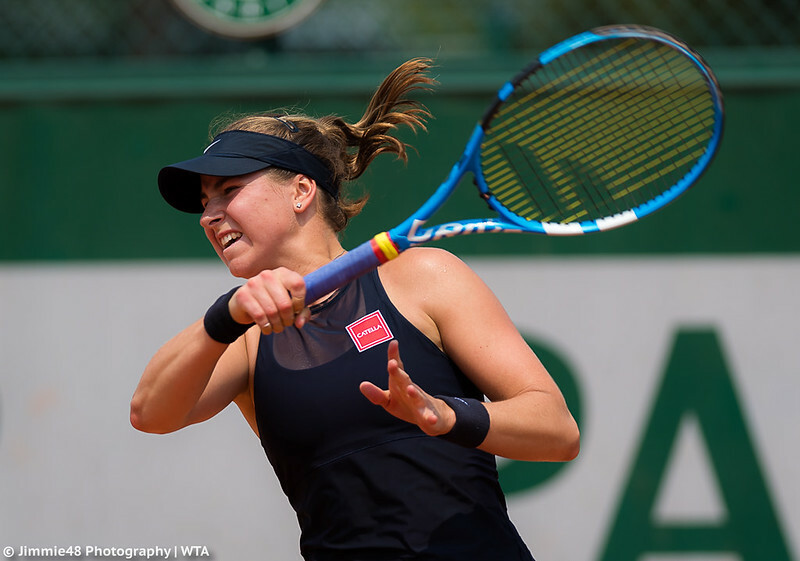 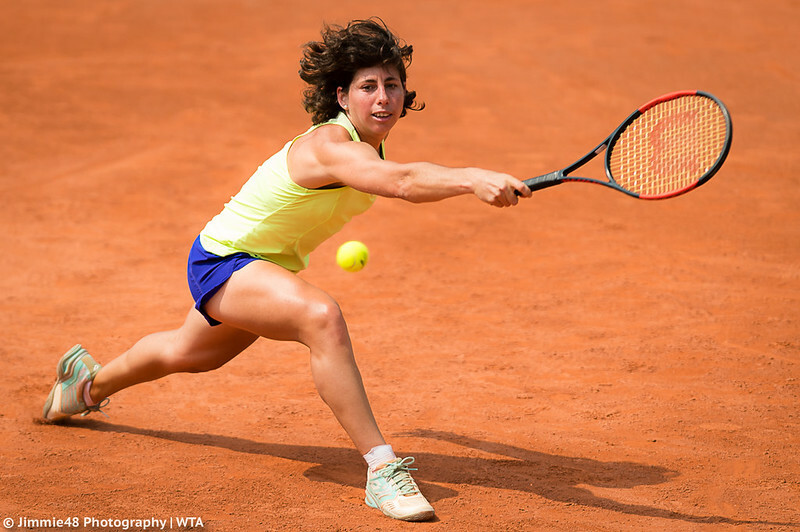 The first round of qualifying continued on Wednesday at Roland Garros, while big guns practiced for their 2018 campaigns at the claycourt Grand Slam. 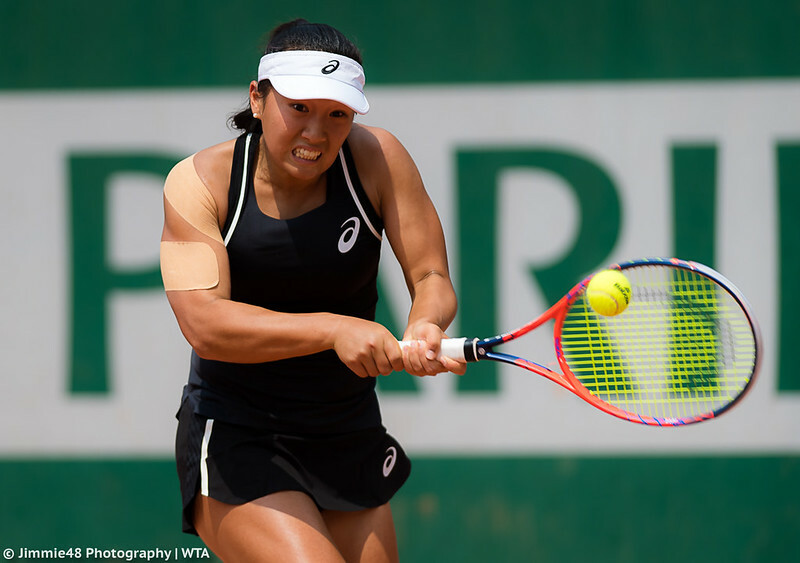 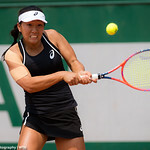 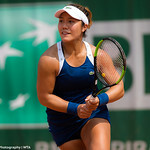 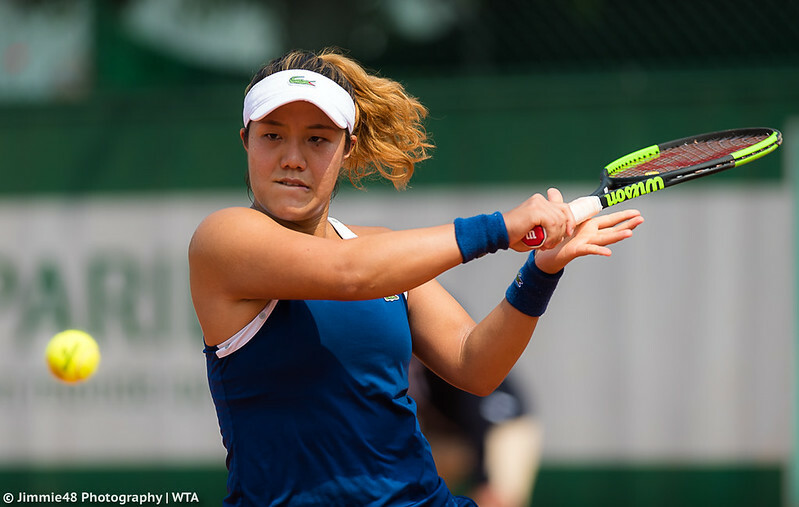 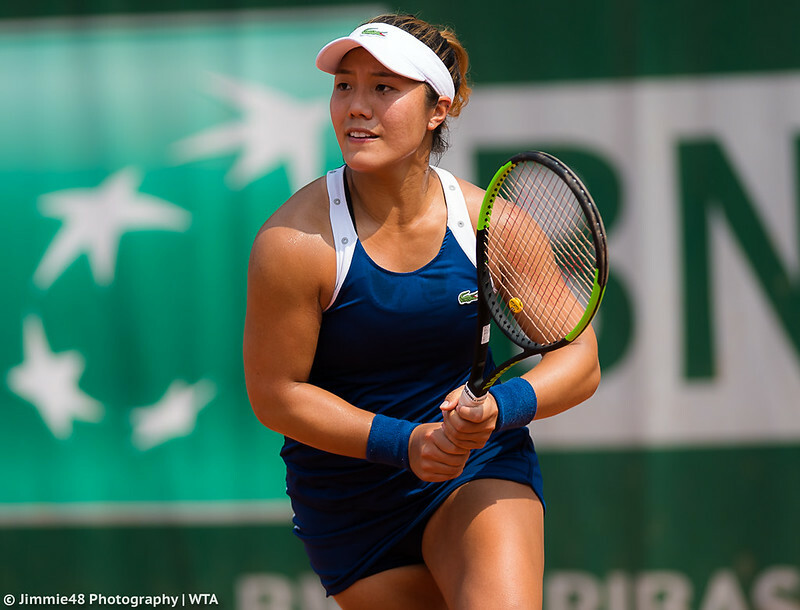 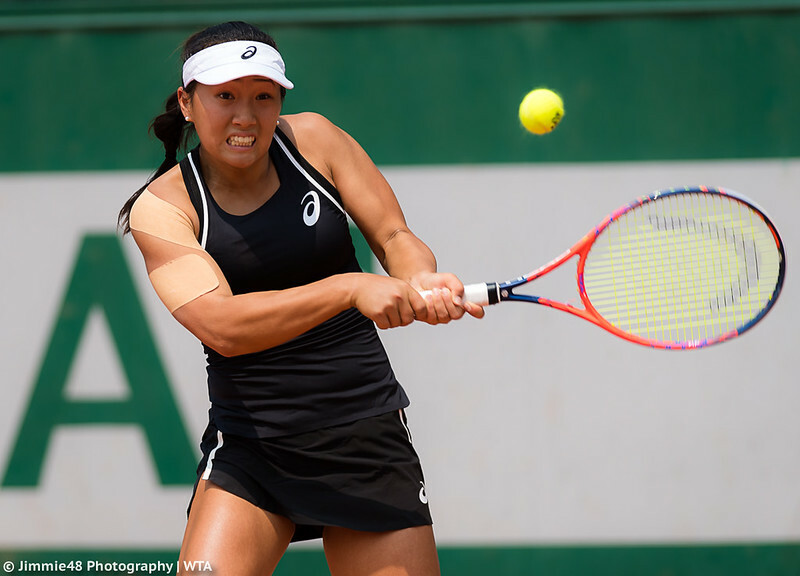 Our Jimmie48 photographed a number of qualifying matches, including Kristie Ahn‘s victory over Bibiane Schoofs, Claire’s Liu‘s elimination of Danka Kovinic, Diane Parry‘s triumph over Jana Fett, and more. 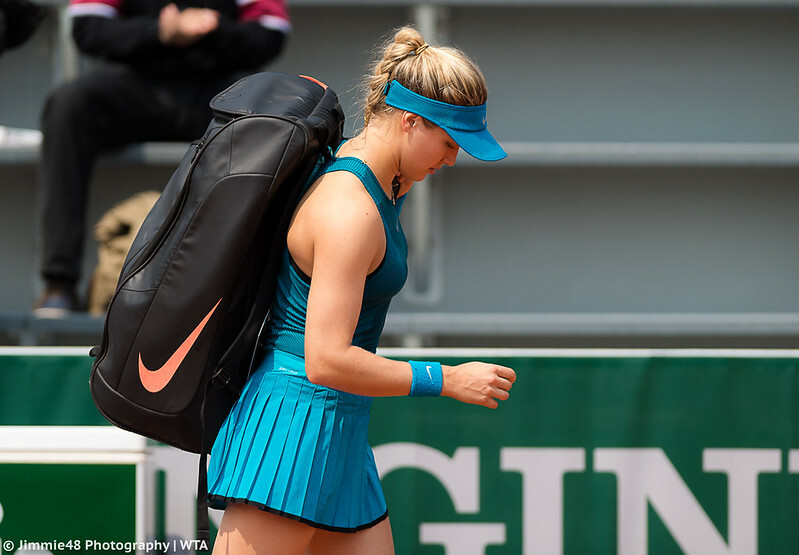 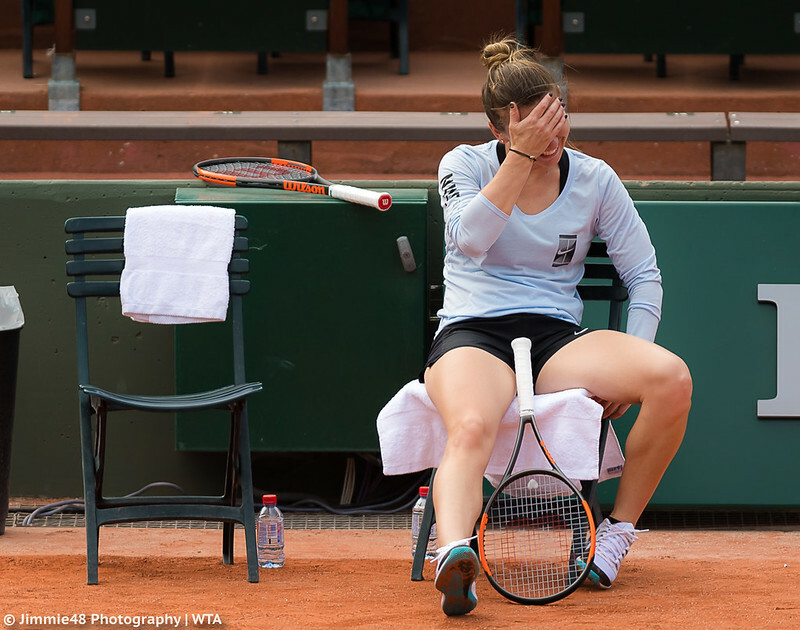 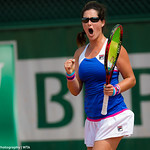 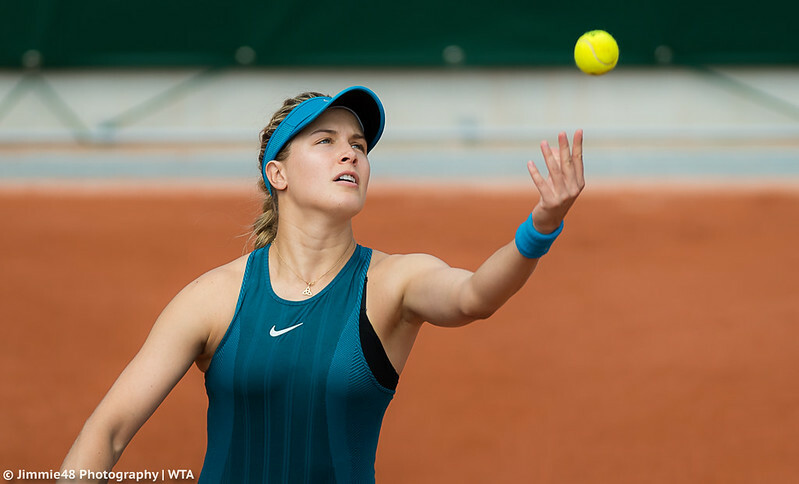 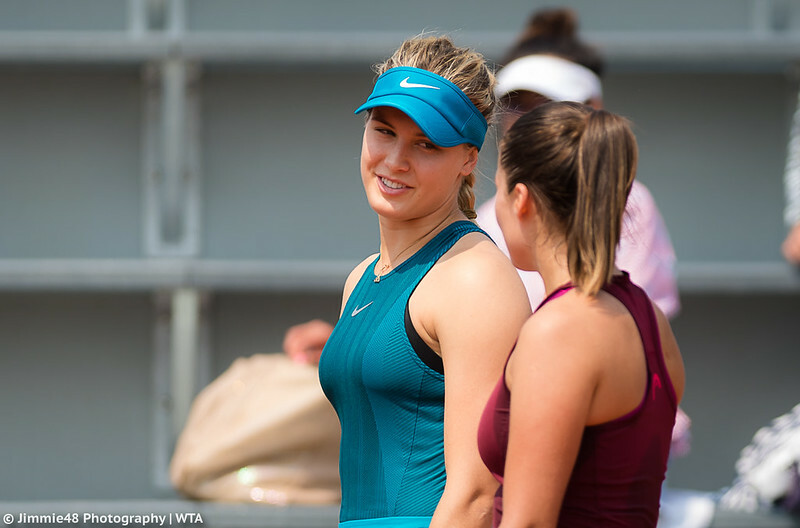 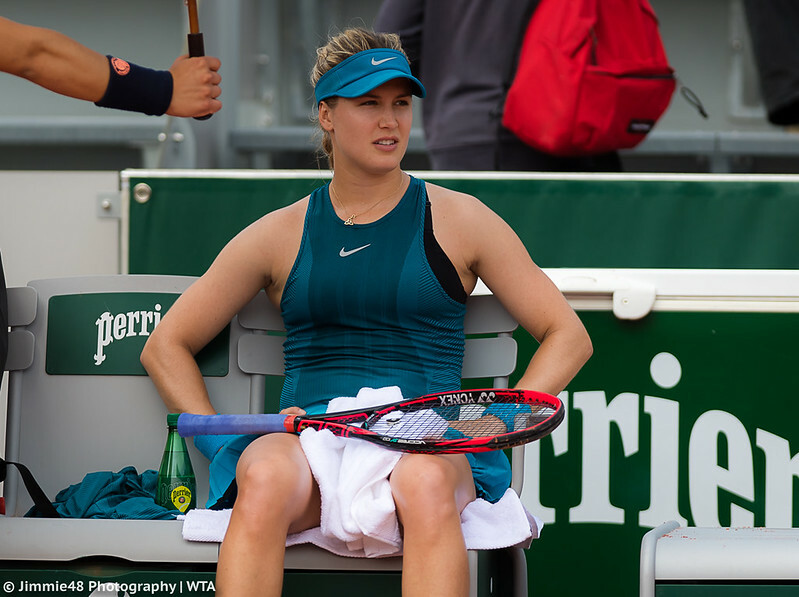 Genie Bouchard was bageled by Dalila Jakupovic in the first set of their qualifying match and early into the second set the 2014 French Open semifinalist retired. 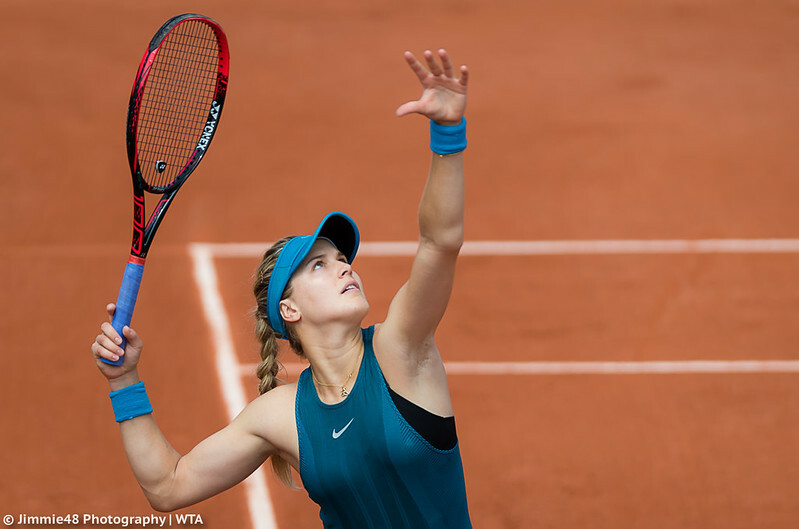 In my review of NikeCourt looks for the French Open, I said that Bouchard was supposed to wear a glacier blue version of the new engineered separates and the Nike Air Zoom Vapor X Shoes, but as we can see in the photos, the Canadian eventually opted for the neo turq Nike Summer Zonal Cool Slam Tank, and instead of pairing it with the matching Zonal Cool Smash Skirt, the 24-year-old went for the pleated Summer Victory Skirt. 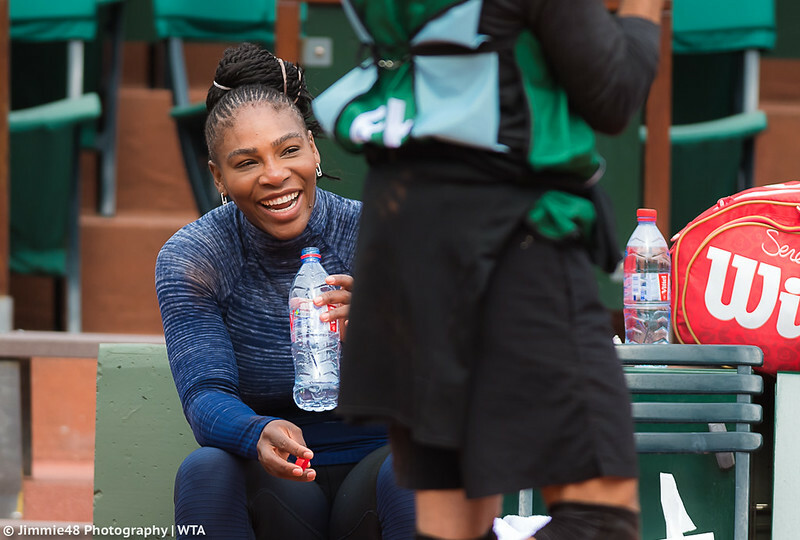 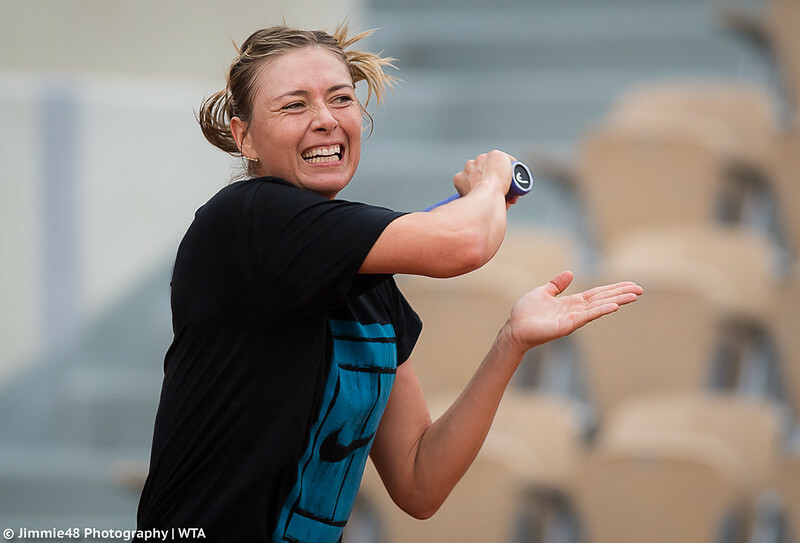 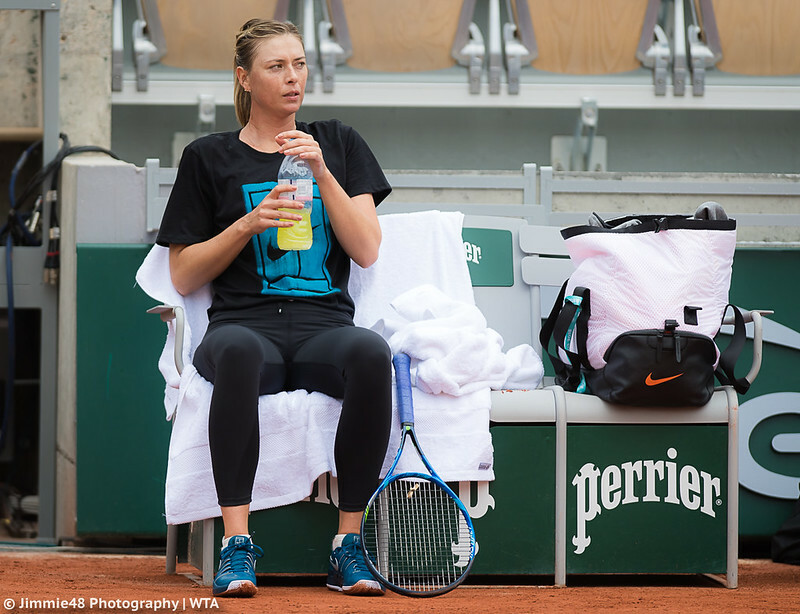 Those that don’t have to qualify keep arriving and on Wednesday our photographer attended the practice sessions of Serena Williams, Simona Halep, Carla Suarez Navarro, Maria Sharapova and Garbine Muguruza, who has become a global ambassador of Evian water.